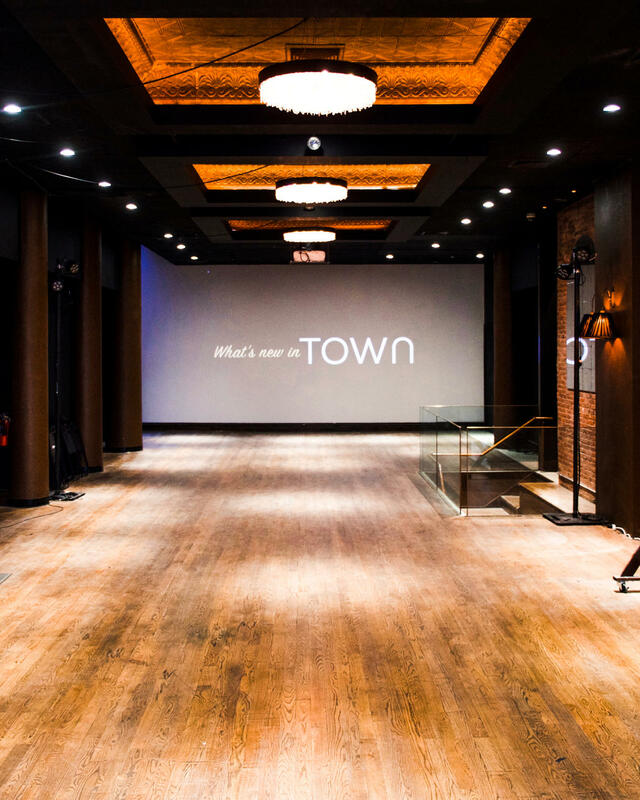 Town Stages is a state-of-the-art cultural arts space, event venue and cocktail bar in Tribeca. The stunning 10,000-square-foot storefront facility blends convention-level facilities with captivating decor for 299 guests. Town Stages offers much-needed meeting space and production resources for businesses, arts organizations and families celebrating their very important day. Located near all major NYC subway lines, Town Stages is available for corporate gatherings, fashion shows, film shoots, weddings and beyond. Space Notes All large rooms complete with state-of-the-art lighting, projection, sound, mics, and a full compliment of common convention furniture. Full liquor license & specialty cocktail bar services. A facility built by women, and run by women.